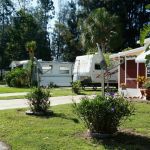 Ask fellow campers about "Winter Quarters Pasco RV Resort" and nearby attractions. Was OK for a few nights. Most of the place is long term residents. Pool area was nice, looked relatively new. Parking pad was grass with a small concrete pad to setup table & chairs. Stipulated that you not park on the pad as the RV weight would break the pad and you'd be responsible for the repairs. This had happened to the spot where we parked, but the pad had NOT been repaired. We camped at Winter Quarters Pasco RV Resort in a Motorhome. Parked in mud. Had to put boards under wheels to get out. Another class A had same problem. I was 6 inches in with parking. Again boards under wheels to get out. Load of gravel would help immensely. Part of trails collection thousand trails. Lot of permanent residents. We camped at Winter Quarters Pasco RV Resort in a Travel Trailer. This is a Encore Snowbird Community that consists mostly of park models and permanent units. It is in an urban area with busy 4-lane streets and shopping centers all around. Our spot was at the end of a row and had little to recommend it except full hookups and it felt safe. We had a grassy patch with no picnic table. We tried it out while visiting our son in Tampa. It was just "ok", and we probably won't go there again. We camped at Winter Quarters Pasco RV Resort in a Motorhome. Like most Encore parks, this is an RV resort, NOT a campground. Many parks in Florida are designed for the multitude of snowbirds that come down from the cold, frigid north. They don't have very many spaces for transient customers, but that's really to be expected in this part of the country in the winter! We needed a night to fill in our stay at a nearby state park because we couldn't plan far enough in advance. This worked, but just barely. Because of our size, it was a challenge to get into our space. Fortunately for us the site was wide, because the roads in the park are narrow. Not much room to back up a 45' fifth wheel, but we managed. Restrooms were clean, and the park was very tidy. We wouldn't choose to come here again, but because we had an activity planned and needed to stay in the area we were glad it was available for the one day we needed it. We camped at Winter Quarters Pasco RV Resort in a Fifth Wheel. Close to the freeway and so much shopping and dining! That was a plus, as it was just an overnight and we weren't taking out the grill or anything else for one night. I made reservations for this campground through my Thousand Trails membership, which I shall not renew because this is the kind of campground they feature: closely packed spaces, difficult to navigate, poor site maintenance, but lots of "resort" activities. Nonetheless, snow-birds and retirees seem to love it. They flock down by the thousands to nest in such places for the month or the season or the year. Not me! Ain't my type of place! I visited Florida as a kind of "bucket list" item. Now it's over, and I won't go back. We camped at Winter Quarters Pasco RV Resort in a Fifth Wheel. If you're looking for a campground, you'll be disappointed. If you're looking for a convenient location to see the Tampa sites, it's great. The park is clean, restrooms older but well kept. Sites are small and interior roads are very narrow. The employees are very nice and there's usually an activity almost every day. About 75% of the sites are annuals, but they're generally show models and the majority are well kept. We camped at Winter Quarters Pasco RV Resort in a Fifth Wheel. You couldn't ask for more shopping & restaurants in the area, the outlet mall alone could take hours. They advertise as a luxury RV resort and it's really just a mobile home park. Most sires are permanent park models and others are old trailers with full time residents. The sites they offer for weekend and short stay use are terrible. Grass sites with no cable or internet. Trees are overgrown and Spanish moss hanging everywhere. This a a $10 a night park not a $50 a night park. I would never return. We camped at Winter Quarters Pasco RV Resort in a Motorhome. We had reservations for 2 months, we arrived on a Saturday and found the office is closed on the weekends, looked around but could not find a packet anywhere with our name for check in info. Found a very nice lady sorting the mail and she told us to grab a site (only 4 available) and let her know the number and she would leave it for the office Monday. Our site was good size, easy in and out with a concert patio and table. The bathrooms were very dirty and never cleaned while we were there. We camped at Winter Quarters Pasco RV Resort in a Motorhome. Park has a mix of permanent & seasonal sites with permanent park models interspersed throughout the park. Grounds are well manicured and a couple small lakes add to the atmosphere with a nice little "pier" ending at an octagon gazebo complete with chairs overlooking the lake and sunset. Pool and deck area are small but we'll maintained. Club house/billiard room & Internet lounge are clean & bright. Laundry room is small but functional. We camped at Winter Quarters Pasco RV Resort in a Fifth Wheel. All shopping/restaurants close (across the street ). Within 35 - 60 minutes of sea port, airport, & Gulf beaches (Clearwater, Dunedin, Howard Beach & Tarpon Springs). This park is in our Thousand Trails network and there was no cost to us. Very convenient to I 75 within 10-15 minutes depending on traffic. The roads within the park are paved but narrow. The sites are grass with good hook ups. Due to the amount of rain we did notice some of the sites were developing ruts due to vehicles pulling in and out. The park is very friendly with something always going on at the club house. We were invited back, if in the area for dinner on Sunday nights even though we have moved about 20 miles east to another park. Tampa is about 20 minutes to the south and New Port Richey, Port Richey and Tarpon Springs less than 30 minutes to the west. We will definitely return for longer than the week we stayed this time. We camped at Winter Quarters Pasco RV Resort in a Motorhome. There are numerous grocery stores (Publix, Winn Dixie, Wal Mart) within a 10 minute drive. Also shopping, restaurants and banks very close. The new Tampa Premium Outlet Mall is also within 15 minutes. We had breakfast one morning at the Village Inn Restaurant and so much enjoyed our meal we went back a second time for dinner. Very nice people who live there! We were invited to birthday celebration that evening and had cupcakes and coffee! We camped in a 43 foot toyhauler. We are newbies to RVing. The spaces are tight for big rigs. We camped at Winter Quarters Pasco RV Resort in a Fifth Wheel. No Wifi, no cable. Paved interior roads. Park very clean. We camped at Winter Quarters Pasco RV Resort in a Fifth Wheel. This was actually the first RV park we ever stayed in. We stayed here while visiting a friend who was getting married. The campground was very nice. There were a lot of permanent campers here. The grounds were clean and quiet, and the people were nice. We didn't use any of the amenities like the pool or shuffleboard but everything looked nice. This place isn't a vacation resort, but if you need a place to stay while passing through or visiting family/friends, this place is great! My only complaint was that the grass hadn't been mowed in awhile but they were mowing it as we were leaving. It appeared to have been at least a month of growth. There was a small concrete pad with a picnic table, and that was nice. We camped at Winter Quarters Pasco RV Resort in a Motorhome. First problem is the age of the travel park, small narrow and tight. Second problem being charged a resort fee on the invoice for $6 “where’s the resort?” Most sites are grass with most units over the age 20 years of age. If it rains its best to stay put for an additional day to allow the site to dry out or it’s a mud pit. This is yet another string of encore trailer park purchases for the traveler to be beware, and to have them slap the word of “resort” on to the title leaves one wondering to what standard is used to classify this place as a resort? We camped at Winter Quarters Pasco RV Resort in a Motorhome. Nice clean RV park with many sites with park models. It was a little hard finding a site we could back our big RV into without difficulty. The staff was very friendly and helpful. There is a lake but I did not see any available camp sites next to the water for short term camping. Park is located off a busy highway but it is reasonably quiet. We visited this park twice in 2014. We camped at Winter Quarters Pasco RV Resort in a Fifth Wheel. 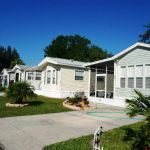 Are you affiliated with Winter Quarters Pasco RV Resort ?